The quality of any conference is predominantly determined by the quality of its content. At RCT, we are privileged to work with some of the most progressive and forward-focused organizations in the industry, and were therefore able to deliver an agenda that featured outstanding presentations from our customers. Thank you to everyone that attended and contributed to the success of this event. If you weren’t able to make it, we hope to see you next year. 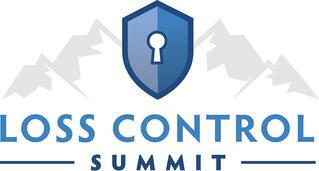 We’re already hard at work planning the 2018 Loss Control Summit, and will release more information soon. For more information or a copy of this year's full agenda, please do not hesitate to reach out to Warren Woermke (wwoermke@riskcontroltech.com or 212.603.9487 Ext. 333), or visit losscontrolsummit.com. Mondale Smith of Berkley Agribusiness Risk Specialists started us off with a thought-provoking talk on the importance of Loss Control Stewardship programs. These programs will help you to strengthen your customer relationships, manage expectations, segment your portfolio, and differentiate your organization in a competitive marketplace. However, Mondale acknowledged that a stewardship program certainly is not free of risks, and there are some important factors you’ll need to keep in mind. Ensure that your program’s goals are in line with those of the company, and take the time to gain employee buy-in. Additionally, make sure you truly understand your company and clients, and don’t make the mistake of simply trying to copy another organization's program. Your company is unique – your stewardship program should be too. SAIF Corporation’s Chuck Easterly delivered an excellent presentation around SAIF’s approach to helping their clients foster a culture of safety. As Chuck aptly mentioned, safety isn’t simply common sense – no matter how many times you’ve heard someone assert that it is! Chuck shared the Ansbro Safety Culture Spectrum, explaining how it can be used to assess a company in various areas such as leadership and equipment with the goal of helping the organization move their safety culture from reactive to comprehensive in nature. Think of your operations today – are you focused simply on preventing loss, or are you going above and beyond to foster a safety culture with your clients? Innovation in Risk Control – it’s something that, unfortunately, is all too often neglected. But as Bryon Snethen of EMC Insurance discussed, this doesn’t need to be the case. Bryon shared various intriguing innovations currently being pursued by EMC, including aerial imagery capture through drones, building and people sensors, slip and fall simulators, and more. The rate of innovation and technological advancement in today’s world is higher than it has ever been in - is your organization keeping pace? For the final presentation of day one, Tom Kluxdal of Church Mutual took a deeper dive into one specific area that will be a major driver for much of this innovation – the Internet of Things (IOT). Inspired by the Polar Vortex event of January 2015 (which caused an estimated $1.7 billion in insured loss over a period of only four daysi), Church Mutual took action by implementing a cutting edge sensor program to help customers detect and take early action before damages or disruptions to their business occur. Church Mutual has already been able to demonstrate an effect on their bottom line through a reduction in losses – and they have the data to prove it. *Update: On April 4th, Church Mutual was recognized as a Celent Model Insurer in Innovation and Emerging Technologies as a result of its sensor technology program. Congratulations to the team! Jim McMillen of Pinnacol Assurance started day two off with an excellent presentation, challenging us to consider the concept of implementing full transparency in loss control. Often risk control professionals find themselves developing several different correspondences for various parties, even though they are based on the same data. Not only can this approach greatly decrease efficiencies, it can lead to miscommunication and misunderstanding both internally and externally, in some cases even causing the insured to have concerns over a lack of transparency. While Jim did acknowledge that at first some insurance providers may be resistant to this change, the initiative has been a success at Pinnacol, with positive feedback coming from underwriting, agencies, and the insured. We at RCT expect this movement towards communication transparency to grow rapidly in the coming years. Kevin White of Berkley Specialty Underwriting Managers took us through an important process that all loss control providers should be investigating – identifying and addressing key loss drivers. Kevin and his team were able to address 17 key loss drivers for their business, providing important insights to guide their efforts moving forward. While it can be easy to become buried in the day-to-day operations of loss control, it is important to take the time needed to understand the underlying causes of losses in order to facilitate the creation of strategic policies aimed at addressing these drivers. For our final customer presentation, Chuck Henry of West Bend Mutual Insurance presented a very appropriate subject – promoting loss control as a career. It’s a topic that us at RCT are clearly passionate about, and with good reason – the statistics are staggering, with some sources predicting that 50% of the insurance industry’s workforce will retire in the next decade. Chuck and his team at West Bend are already working hard to address this issue, implementing a comprehensive program to promote the discipline. This includes partnering with high schools, colleges and universities, helping to design coursework, involvement with student safety organizations, offering summer internship programs, and more. There is no doubt that this program requires dedication and hard work, but the reality is that if you’re not already working to build your pipeline for qualified talent down the road, that talent will likely go elsewhere. In addition to these excellent presentations and a variety of social events, RCT staff delivered feature spotlight talks to help customers maximize the value they receive from our system. Furthermore, interactive sessions were held to review features currently on our product roadmap, as well as garner feedback from clients on what they would like to see down the road. To conclude the conference, RCT was pleased to announce the launch of our new software solution, The Insured Portal. The Portal is a customer facing web application which will greatly increase carriers' abilities to interact and collaborate with the insured.